Very Good. 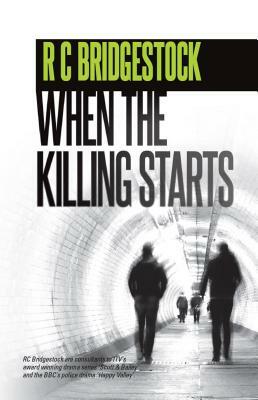 When the Killing Starts (Di Dylan) by R. C. Bridgestock, 2016-06-30. 320 p. Di Dylan , 7. New. Crime is a way of life for the Devlin brothers. Groomed at an early age and trained as criminals by local gangsters, the Devlin brothers get their thrill out of creating fear amongst their victims. They have a macabre pact; not to be arrested or caged. Series: Di Dylan. Num Pages: 320 pages. BIC Classification: FF. Category: (G) General (US: Trade). Dimension: 201 x 130 x 23. Weight in Grams: 350. 2016. Paperback.....We ship daily from our Bookshop. New. 320 p. Di Dylan , 7.